Something for the fourth of July. Everyone's a little older here, Sonic and Amy are fiancés as well as Manic and Mina as for Tails and Cream well they are teenagers in this so yeah. 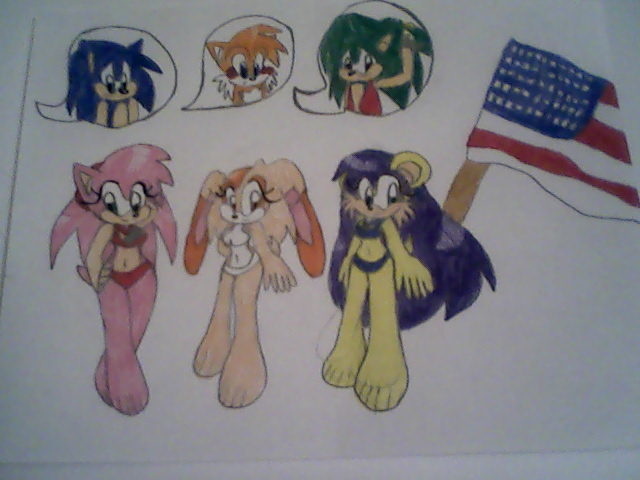 So Sonic and Manic are wondering why Amy and Mina took their medallions while Tails blushes for Cream.